UPDATE 2: Danilo Petrucci fell at turn 5 while trying the new Ducati fairing, which Pramac's Jack Miller also received. UPDATE 1: Yamaha also unveils new fairing on final day. 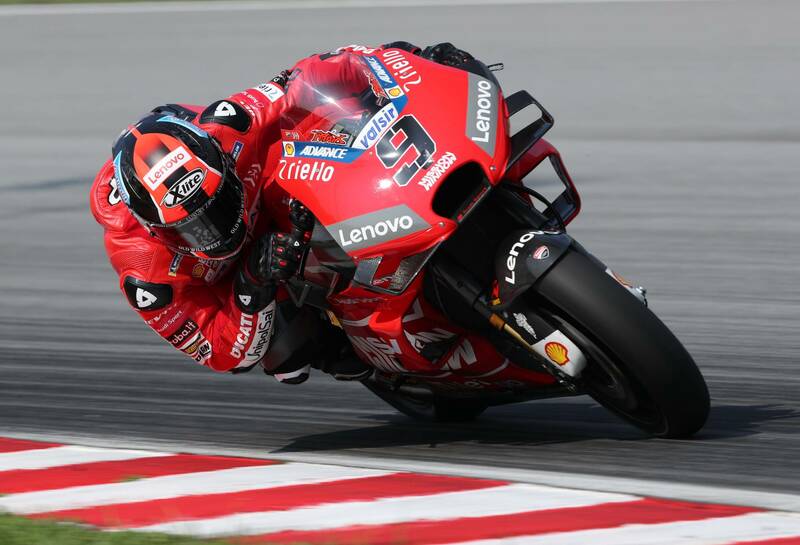 The final day of the official Sepang MotoGP test began with a surprise when the Ducati team informed the trackside media that a new fairing would be in use this morning. 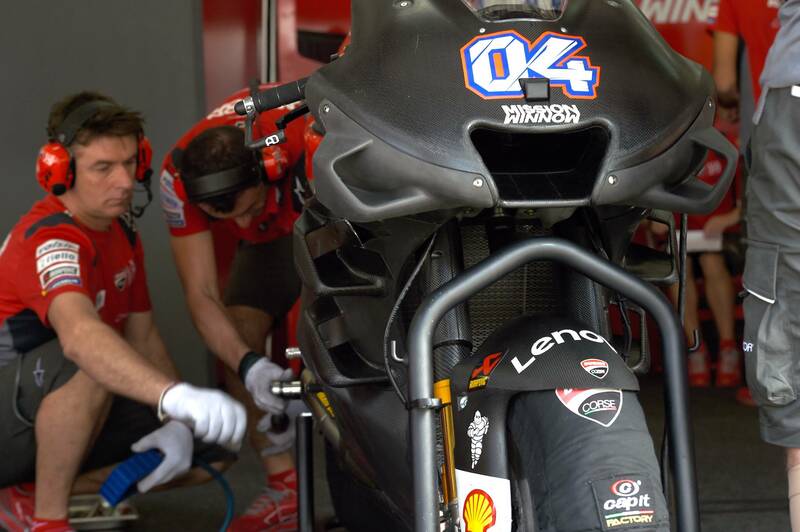 At the team launch, Ducati's Gigi Dall’Igna stated the revised 2019 wing fairing would only be seen at the following Qatar test, but are now either ahead of schedule or wish to get some early data. Either way, the new design - pictured after being used by Andrea Dovizioso on his opening run - featured six small wing sections, three on either side of the bike, rather than one upper wing and a side 'box'. Fairing design will be even more crucial this season as new rules prevent the use of modular systems, whereby some parts could be removed. Only one fairing update will once again be allowed once the season is underway. Meanwhile, the Ducati rear brake torque bar, first seen at Jerez in November, also made a reappearance this morning.